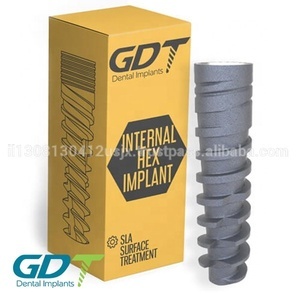 Tags: "dental Implant" | Double Packaging | "internal Hex"
High Quality DENTAL IMPLANT with CE Certification! 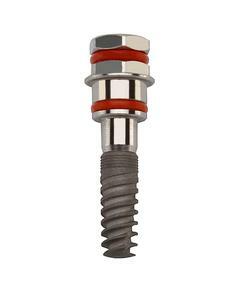 Dr.Implant factories produce high quality dental implants abutments and parts. We are looking for long-term business relation with distributors, doctors and clinics. Dr. Implant would like you to test our products with a small purchase and see yourself. 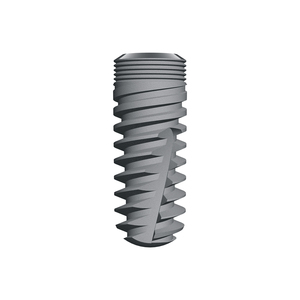 WE ARE FACTORY DIRECT AGENTS OF DENTAL IMPLANTS AND RELATED PRODUCTS. WE PROMISE YOU THE MOST HIGH QUALITY PRODUCTS IN THE MARKET WITH THE BEST PRICES! FOR ANY QUESTION PLEASE FEEL FREE TO CONTACT US, WE WILL BE HAPPY TO ASSIT YOU! 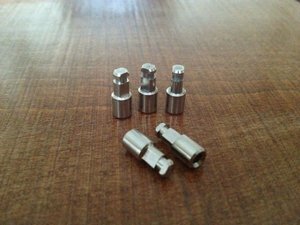 Material: Titanium Grade 5 Sterilization : Gamma Irradiation. 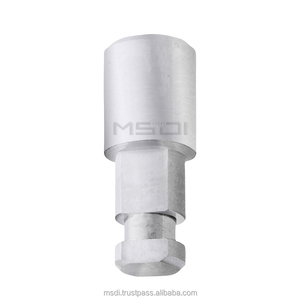 Surface Treatments: SLA - Sand-Blasted, Large Grit, Acid-Etched . the abutment comes in a clear plastic bag. Dental implants. best price you can get guarantee. 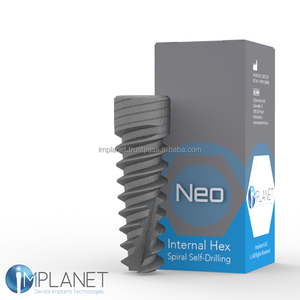 Dental SPIR (SPIRAL) implant internal hex system + Free Shipping Worldwide!! 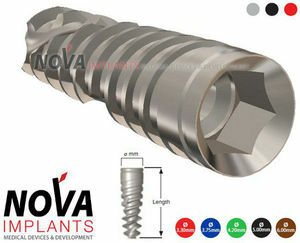 WE ARE FACTORY DIRECT AGENTS OF DENTAL IMPLANTS AND RELATED PRODUCTS. ALL OUR ITEMS ARE HIGH END ITEMS, WITH ALL THE ADVANCED CERTIFICATIONS. WE PROMISE YOU THE MOST HIGH QUALITY PRODUCTS IN THE MARKET WITH THE BEST PRICES! 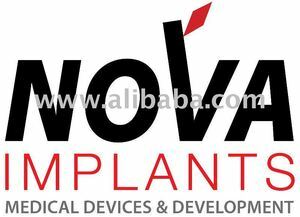 Alibaba.com offers 353 dental implants products. About 62% of these are dental consumables, 29% are implants & interventional materials, and 1% are dental drill & accessories. A wide variety of dental implants options are available to you, such as dental implant material, implantation equipments, and implantable artificial organs. You can also choose from implant materials & artificial organs, intervention equipments. There are 353 dental implants suppliers, mainly located in Middle East. The top supplying country is Israel, which supply 100% of dental implants respectively. Dental implants products are most popular in Southern Europe, North America, and Eastern Europe. You can ensure product safety by selecting from certified suppliers, including 17 with ISO9001, 5 with ISO13485 certification.